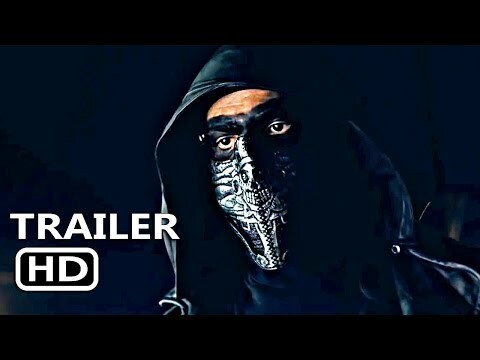 Tom Costabile's brutal horror flick Voodoo, now showing in theaters across the US, has the religious community up in arms over its extreme and controversial view of hades and stance on all things holy. From those posting in spiritual forums and bloggers, voicing their opinion about Costabile’s depiction of hell (in one shocking sequence our heroine is molested by a demon) to other religious elements within the movie, to personal emails from ‘offended’ churchgoers, the film is definitely gaining notoriety. At the other end of the scale, the paranormal horror film – which fixes on an innocent girl journeying down a frightening, gory path that only the worst of nightmares could summon – is winning praise from some of the country’s top critics for it’s originality, old school-style scares and risk-taking. Film-fans and bloggers are also singing the movie’s praises, with many calling it realistically frightening and very, very upsetting. “When I see movies like this, it puts a whole other ‘fear’ inside of me,” said YouTuber CML Entertainment, noting that the film’s scenes of hell disturbed him considerably. “This is one mindf*ck of a movie,” said the visibly shaken Boss of Horror on YouTube. Produced by HyperCube Films, Voodoo tells the story of an innocent southern girl, Dani, vacationing in Los Angeles to evade her increasingly complicated life. The film is currently showing in theaters in cities including Los Angeles, Boston, Chicago, Washington, Philadelphia and New Orleans. It is also available on VOD.